Need to Remodel a Bathroom in Minneapolis, MN? If you need to remodel a bathroom anywhere in the Minneapolis, Minnesota, area, then turn to the pros at U.S. Patio Systems and Home Remodeling, a full-service contractor that is guaranteed to provide you great value for your money. Founded by home improvement entrepreneur Craig Dauffenbach, U.S. Patio Systems and Home Remodeling offers an unbeatable combination of high quality products, excellent service, and some of the best warranties in the business. When you hire us to remodel a bathroom in your home, you will benefit from doing business with a reputable contractor that helps you stretch your dollar to the fullest. U.S. Patio Systems and Home Remodeling proudly offers a variety of bathroom solutions for budgets of all sizes. Plus, we partner only with manufacturers that produce well-made products that our customers can rely for long-term performance. In addition to acrylic tubs and showers from Bathwraps and Onyx, we also install walk-in tubs from Safe Step Walk in Tub Co., one of the leading suppliers of walk-in tubs in North America. For more information, please contact U.S. Patio Systems and Home Remodeling today. 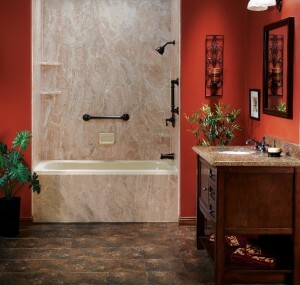 We provide bathroom remodel services in Minneapolis, MN, and across the entire Twin Cities region. Our other specialties include basement finishing, sunroom installation, patio cover installation, and pergola installation.